In the digital era where most of the work is done online, online security is of paramount importance. Cyber threats are exponentially growing. Thus, leaving the back door open basically invites criminals in to wreak havoc in a business network, steal or encrypt data, blackmail, or delete a company’s records for the sake of fun. Fortunately, there are some ways to enjoy the benefits of the internet-connected world and still maintain safety in the workplace. Here are the crucial online security measures to implement. Talking about cybersecurity here and there is not enough. Every organization has to do all in its power to turn the casual cybersecurity practices into a standard. This is easier said than done, but with a consistent and structured effort, it can be achieved. The best way to communicate its importance is to identify the potential risks and present the consequences to the entire staff. Talk about the efficiency of the company and how it can be jeopardized if computers get infected by malware. Point out the damage to the public image and penalties the company will face if the clients’ and customers’ data leaks out. People are probably unaware of the fact that operating systems, standalone apps, and firmware in office hardware have to be regularly updated and patched. New cyber threats emerge every day, exploiting the newly discovered weaknesses in software. Software companies work tirelessly to repair these bugs and release security updates. This practice will not render a company hack-safe, but it will minimize the risk of getting hacked. This is why it is vital that the IT department stays on top of this and performs regular software maintenance. If there is a single employee in a workplace connecting to a business network from their own device, it is a bring-your-own-device practice. This means that an entire network is exposed to potential vulnerabilities of the device in question. This is why the companies with the BYOD model have to adopt a device management practice. The devices used on the business network have to be up to date, as well as virus-, malware-, and bug-free. There are numerous device management software platforms that companies can use to make sure every device on the company network meets the predetermined requirements. A virtual private network (VPN) is another viable security solution for a workplace. VPNs are designed to encrypt the end-to-end traffic and make it impossible for anyone to sniff the packages and steal the data. They provide true anonymity and security for anyone using them. On top of that, a VPN is easy to implement and use so that companies don’t have to waste resources on onboarding programs. This can be especially useful if a company has a lot of remote workers. In this instance, a VPN will significantly reduce the risk of cyber attacks, even if the employees connect via public networks. On a side note, implementing a VPN will send a strong message to the company’s customers and partners and make them feel more secure. Feel free to go through the best VPN providers to find the most optimal solution. When a single one of the employees uses one of the most common passwords, it exposes the entire company to cybersecurity risks. While passwords may appear a benign issue, they are not. This is why all the major cybersecurity players out there still emphasize the need for having strong passwords. Here’s a list of passwords that nobody should use. Everyone in the company should use passwords that are at least 8 characters long. A password is considered strong if it contains at least one upper case letter, one number, and a special character. If employees experience problems remembering all of those passwords, consider implementing a secure password manager software. The most common cyber attacks follow a successful phishing scam, lost or unlocked device. This is why companies have to educate the employees about these matters. Everyone on board has to be able to spot something fishy going on, especially the emails, as they can carry treacherous attachments. Furthermore, all the devices including a personal computer, smartphone, tablet, and laptop should be protected by a strong password, and automatic lock enabled 1 minute after not being used. The more ground is covered, the safer the workplace. 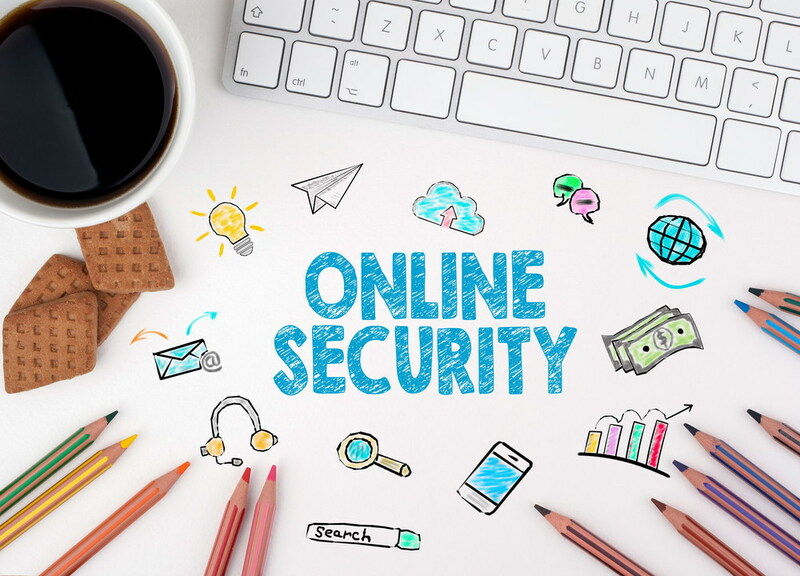 Security solutions for companies ranging from implementing strong cybersecurity policy and good password management to using one the best VPN service providers and continuous employee education. It is important to note that these are not once-in-lifetime actions. Improving workplace cyber security is a continuous effort that has to be fine-tuned as soon as new threats emerge. How to protect your organization from cyber intrusion?